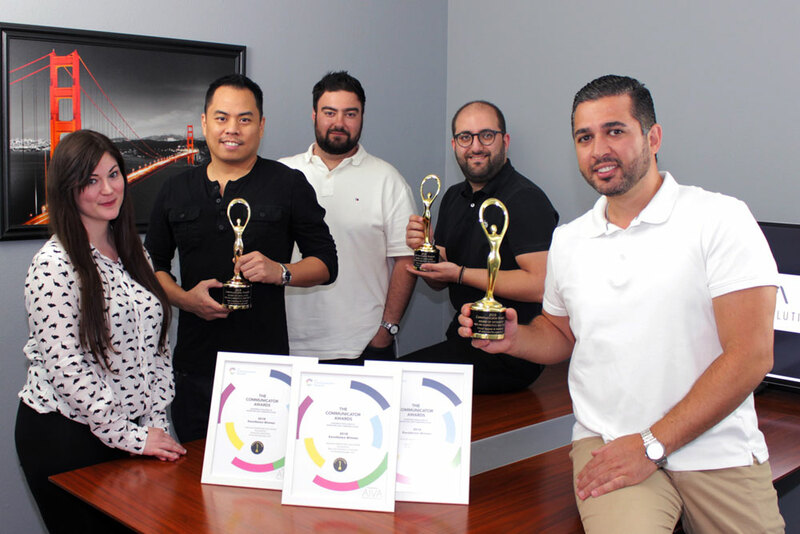 Another year of passion and dedication has paid off again as our team at Alecan Marketing Solutions has won the Award of Excellence from the Communicator Awards for three various projects for our clients. We were awarded Excellence in User Interface and Concept, Interactive Marketing, and Visual Appeal and Aesthetics. This marks the 24th year for the Communicator Awards. Every year, there are over 6,000 entrants for a number of various awards. The judges, who hand-select the awards, are all members of the Academy Of Interactive & Visual Arts. The awards are handed out to entrants who display innovation that will have a lasting impact in their field. The Award of Excellence is the highest award they honor, which indicates the winner as the best in their field. “I’m grateful for the opportunity for my team and myself to win this award. Putting in all the extra time and effort with my staff has paid off again. 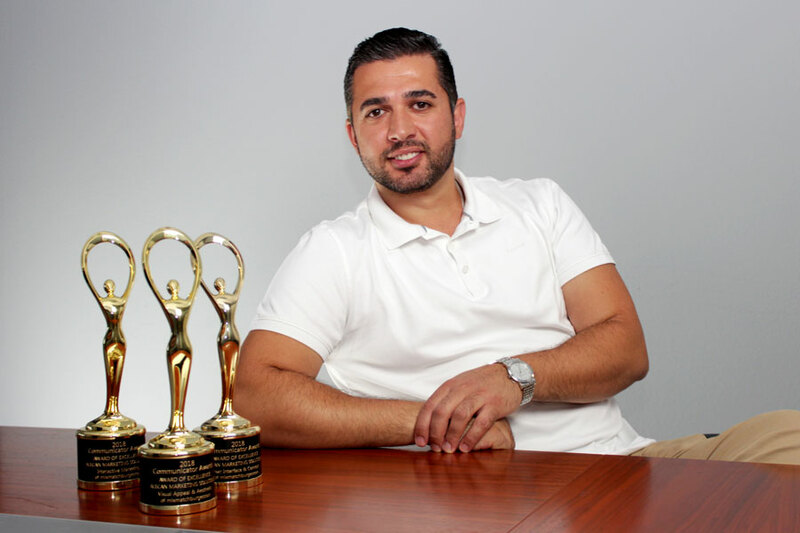 The awards are great, but seeing our clients’ ideas and dreams come to life is the most rewarding aspect of all this,” said Armen Akopyan, CEO and Director of Operations for Alecan. Our team works relentlessly for our clients in order to meet every goal and objective that they have. Working closely with each client is a joy, as each step of the way we help them get closer and closer to their dream. 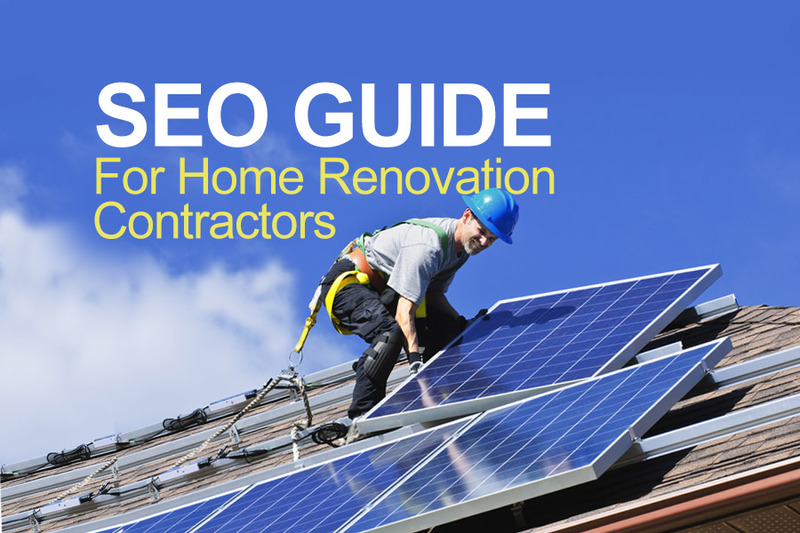 Every project is different, and every business owner’s goals vary. What doesn’t change is how we approach every client we work with. It starts by sitting down with them and getting a thorough understanding of their goals and objectives. From there, we conduct in-depth research to understand their market, their target audience, and their competitors. Once these steps are complete, it’s time to roll up our sleeves and get to work. The user interface and concept award is at the core of what makes a good website. Being able to relay a brand’s concept to the customer in a user-friendly way always offers challenges. No matter the product or service a brand may have, if their website does not offer a user-friendly experience, they are less likely to convert site visitors into sales. We’re constantly trying to improve on what the current standard is, which means Alecan continues to be innovative in order to keep setting the bar high. Having an award-winning visual appeal and aesthetic means that not only is a client’s website easy to navigate, but it looks incredible at the same time. While many websites may be visually appealing, they may not be both user-friendly and SEO-friendly as well. Striking the perfect balance is one of the keys to creating the perfect website. Interactive marketing, to us, means portraying our client’s business concept in a way that is both intriguing and stimulating for their customers. Every client is different, and for that reason we bring new and original ideas for each and every project we take on. Our main goal is to bring to life the business ideas that clients bring to us. Every client offers a challenge that we take head-on. These challenges offer us an opportunity to get better at our craft while putting smiles on the client’s face. The accolades are great—but the lasting relationships we build is the best part of what we do.